This is another great action of Kamen Rider OOO with the "SaGohZo Combo" which is basically a combination of Rhino head, Gorilla body and Elephant legs. This figure is produced by Bandai thru their popular action figures series known as S.H. Figuarts. I am a big fan of Kamen Rider OOO series and I did collect quite a number of action figures and other toys from the series. I think so far, Kamen Rider OOO is my most favorite Kamen Rider of the modern era - the story line is pretty much easy to understand, I love the actors though they are not sublimely handsome or beautiful but then again they played the characters accordingly. 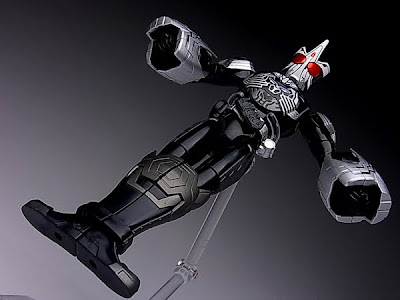 In terms of the Kamen Rider suits and forms, I think the animal and the "combo" system is unique and I love the fact that they managed to go a step further from the 2 combination formula and platform seen on the previous Kamen Rider W.
Nonetheless, I collected many of those action figures from the "Kamen Rider OOO - OOO Combo Change Series" or shortly OCC Series. I had almost all of them but I missed the OCC04 SaGohZo and since the item is discontinued now and almost impossible to get even from second hand market like e-bay or what ever, at the end, I just get this S.H. Figuarts version for the sake of complimenting my Kamen Rider OOO figure collections. As you can see from the pictures above, the sculpt and the detailing is quite good and fit the bill of S.H. 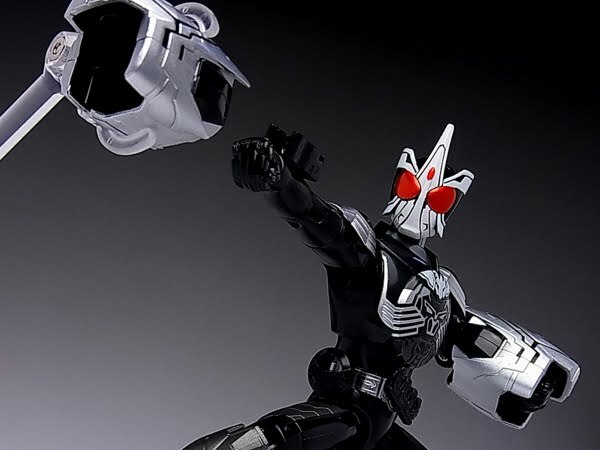 Figuarts action figures from Bandai. I do not claim any rights on the above 2 images. I only use them for information purpose only. All rights and credits belong to the owner. A shame you won't be able to complete it. I have the OCC and I gotta say, his arms make any combo good.